I'm having a new problem, a different problem in D2GS, it goes to the loading screen, but it does not create the game. I was able to collect the exact records of D2GS and D2CS logs. NOTE: The IP's and Accounts have been modified for privacy security. 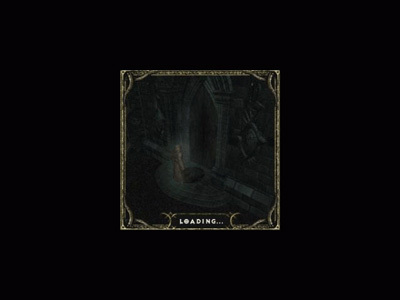 Example: You enter the game loading screen (Loading..) but return to the channel after a while. NOTE: Here, the process stops at "D2CSClientJoinGameRequest" and does not process the next steps mentioned at the beginning of the post. Update: The game is created, only the characters do not enter..
Is this your WINE or Windows setup? Hello Menskin! How are you? This is my setup in Wine 2.01 on Ubuntu 14.04.5 LTS i386. I also think the problem is in Wine *, but because of OS. Soon, I'm going to make the Debian 8 (jessie) 64-bit system switch with a new Wine 2.0.1 installation. I had a lot of problems with Ubuntu, so I decided to change the system. I think I could have similar problem. I run D2GS on Debian 9_x64 with Wine 2.0.1 and sometimes it crashe. Game logs look fine, I can login via telnet to D2GS console, but characters are not able to create the game. Everything stop on Loading screen. After reset D2GS work normaly. Maybe something is missing in wine build or I didnt install some packages. I'd like resolve this issue because it is annoying, and my players must wait form me to push "button reset"
Where do you see the wine logs? I can check here also to see if we have the same problem.. the strange thing is that it never happened to me until a while back. Okay, I'll test and post the results soon. Do you use a modified Patch_D2? If so, what are his characteristics? Well I'm testing on a beta server with the original patch, and so far I have not had problems. So I'm thinking it might be something with Patch..
What is the problem? missing packets? Configuration? Attack? Solved, the problem was in the MPQ Patch.